← Can Smarter City technology measure and improve our quality of life? (In “Do we need a Pattern Language for Smarter Cities” I suggested that “design patterns“, a tool for capturing re-usable experience invented by the town-planner Christopher Alexander, might offer a useful way to organise our knowledge of successful approaches to “Smarter Cities”. I’m now writing a set of design patterns to describe ideas that I’ve seen work more than once. The collection is described and indexed in “Design Patterns for Smarter Cities” which can be found from the link in the navigation bar of this blog). There are many definitions of a “smart city”, but they all incorporate the concept of innovations, enabled by technology, that change the relationships between the creation of financial and social value and the consumption of resources. Money is our universal system for quantifying the exchange of value; but most of the systems which measure value using money do not incorporate social or environmental factors – externalities as they are known by economists. Consequently a variety of alternative systems of trading and exchange have emerged amongst online communities and in local ecosystems that are exploring new ways to create sustainable regional economic and social improvement. Some of these schemes use paper or electronic currencies that are issued and accepted within a particular place or region; and that have the effect of influencing people and businesses to spend the money that they earn locally, promoting regional economic synergies. 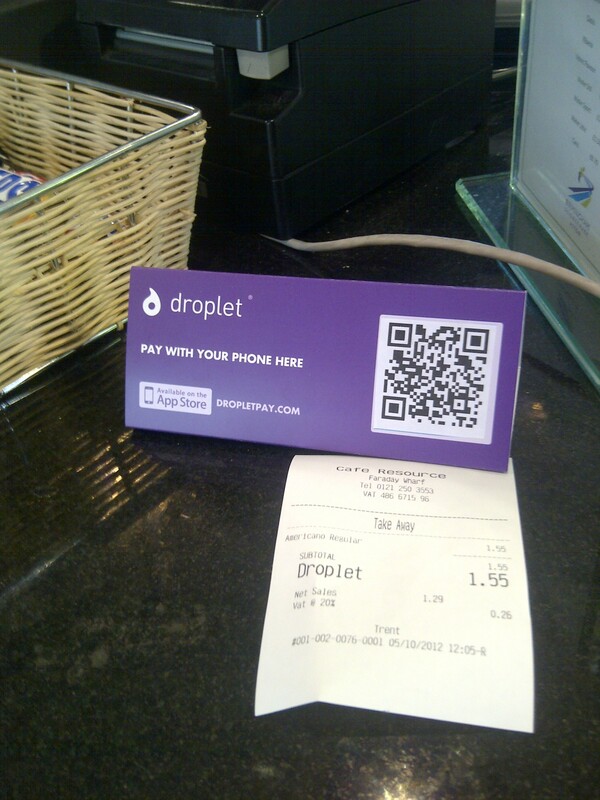 Last year, Bristol became the 5th UK town or city to operate its own currency using this model, and “Droplet” operate a local smartphone payment scheme in Birmingham and London. Other schemes are based on the bartering of goods, money, time and services, such as time banking. And some schemes combine both elements – In Switzerland, a complementary currency, the Wir , has contributed to economic stability over the last century by allowing some debt repayments to be bartered locally when they cannot be repaid in universal currency. As these schemes develop – and in particular as they adopt technologies such as smartphones and offer open APIs to allow developers to incorporate their capabilities in new services – they are increasingly being used as an infrastructure for Smarter City projects in domains such as transport, food supply and energy. Such schemes exploit the potential for the combination of information technology and local currencies to calculate rates of exchange that compare the social, environmental and economic cost of goods and services to their immediate, contextual value to the participants in the transaction. The academic field of service science has evolved to study the ways in which such possibilities lead to business and service invocation. This trend is particularly strong in some African nations where a lack of physical and transport infrastructure has led to a surge in business innovation supported by mobile payments schemes. For example, the Kilimo Salama scheme in Kenya provides affordable insurance to subsistence farmers by using remote weather monitoring to trigger payouts via mobile phones, rather than undertaking expensive site visits to assess claims. (This description is based on the elements of Smarter City ecosystems presented in ”The new Architecture of Smart Cities“). 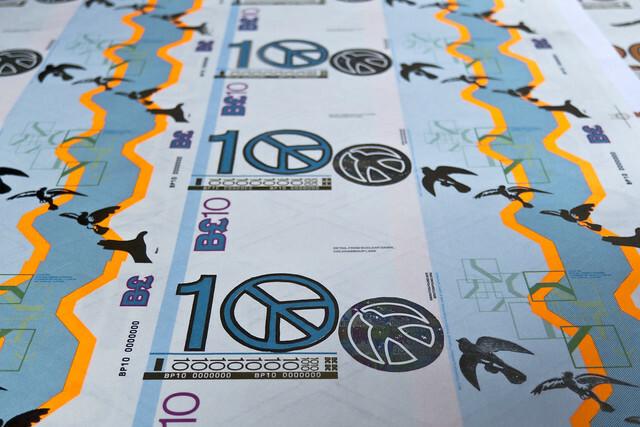 Local currencies operated as social enterprises within specific towns or cities, pursing local economic objectives, often issuing paper currencies. Examples include the Bristol, Brixton, Lewes, Stroud, and Totnes pounds. These schemes link to national and universal currency by offering defined processes and rates of exchange. Often the financial backing is provided by a credit union or other mutual financial organisation. Smartphone payment schemes operated by private enterprises, usually entrepreneurial technology companies. These companies may not have local economic objectives as a primary focus, but will usually deploy their services and build businesses with a network of merchants in a specific city in order to create the critical mass necessary to persuade consumers to adopt the service. These schemes link to traditional payment systems either through direct integration to banking services, or though the billing systems offered by mobile network operators. Recycling and bartering networks such as Freecycle which operate very informally and are locally focused as they involve people physically meeting to exchange goods or services. Such networks are often governed at least as much by codes of behaviour as they are by being legally constituted as formal bodies. Local loyalty schemes operated by city councils or by businesses on behalf of local communities, and that encourage local businesses to collectively reward customers for using their products and services. Examples include the “Backing Birmingham” b-card; the not-for-profit “tag” scheme that operates in Durham, Manchester and Stockport; and Local Loyalty Powys. In addition, it is likely that formal banking institutions and payments intermediaries will enter this market in some form. Many financial institutions started as or are now social enterprises, or express community objectives in their charters; credit unions, for example, or Hancock Bank, whose charter as a community bank led them to take powerful actions to assist the citizens of New Orleans to recover from hurricane Katrina in 2005 . These institutions are increasingly exploring the role they can take in supporting Smarter Cities, both directly or through supporting innovation facilities like the Future Cities programme at the Level39 incubator in London’s financial district. Local currencies and trading schemes are formed where an entrepreneurial organisation – whether a private business or a social enterprise – works together with a community organisation – either an institution such as a city council, or a community such as a local business network. Trust and collaboration between the entrepreneur, institution and community are vital to success. In particular, city institutions can support the scheme by allowing employees to chose to be paid through it in whole or in part – Lambeth Council offers employees the choice to be paid in part in Brixton pounds; and Bristol’s mayor takes his entire salary in Bristol Pounds. A Payments or billing service, or mechanisms to print local currency and govern its exchange for national currency are also required in order to integrate the local scheme with the traditional economy. The governance of these arrangements is crucial to convincing individuals and businesses to trust this new independent form of currency. Schemes achieve the highest level of adoption where they are supported by strong local economic and business communities, such as Business Improvement Districts or campaigns such as Coffee Birmingham. The desire from local government, within local communities and amongst local businesses and entrepreneurs to support local economic and social growth. Disillusion with traditional financial systems following the 2008 crash, recent banking scandals, and the reluctance of some banks to lend to small business; along with an awareness that alternative models are increasingly viable for some purposes. The increasing availability of low-cost payment systems to support transactions in online marketplaces that exchange local resources, such as local food initiatives, community energy schemes, shared transport systems and timebanks. The potential to link the formal economy with informal transactions, some of which are crucial to creating value in communities with the fewest resources. The ability to include local externalities in the rate of exchange associated with transactions. Reinforcement of local economic synergies. The creation of brand value for towns and cities with flourishing local currencies. Alternatives and variations of this pattern are described under “Commercial operating models, alternatives and variations” above. Local currencies are not universally admired. Some merchants complain that it is inconvenient to accept payment in a currency with restrictions on spending, or that requires conversion to national currency; and some commentators have questioned whether they achieve anything that couldn’t be achieved through simpler means. Newspaper and BBC journalists have explored these issues in reports describing the Lewes Pound. Local currency schemes must also offer some mechanism to protect the value of currency held by users of the scheme. This might be achieved if the currency is operated by a mutual financial organisation such as a credit union; or by depositing matching funds in national currency in a traditional bank account. Where printed notes are issued, steps must be taken to prevent them being easily reproduced fraudulently. Finally, in order to succeed, local currencies need to achieve a critical mass of users and of accepting merchants. Lambeth Council accept payments of business rates in Brixton pounds, and allow employees to take part of their salaries in the currency. Both actions support growth in use of the currency. The presence of strong community groups amongst local businesses can also boost such schemes. The story of Hancock Bank’s actions to assist the citizens of New Orleans to recover from hurricane Katrina in 2005 is told in this video, and shares many of the values that local currencies are based on. Hancock Bank’s actions were the result of senior management basing their decisions on the company’s purpose, expressed in its charter, to support the communities of the city. This is in contrast to the behaviour of Bob Diamond, who resigned as CEO of Barclays Bank following the Libor rate-manipulation scandal, who under questioning by parliamentary committee could not remember what the Bank’s founding principles, written by community-minded Quakers, stated. Rose Goslinga tells the story of forming the Kilimo Salama micro-insurance scheme here. In addition to the sources already linked to in this pattern, Brett Scott’s “Heretic’s guide to global finance” explores a number of ways to adapt the traditional financial system to achieve social and environmental objectives. I’m the UK, Middle East and Africa leader of the Digital Cities and Property business for Arup, the independent design and engineering company. Previously, I was Director of Technology for Amey, one of the UK’s largest engineering and infrastructure services companies, part of the international Ferrovial Group, and before that IBM UK’s Executive Architect for Smarter Cities. Jct: Local currencies are useful dinky toys showing the benefits. Someday, people will realize there is a Millennium Declaration C6 for a global UNILETS time-based currency. Jct: Search out QQ Coins on China’s 800,000,000 facebook-like social network! Bankers get no interest! Japan’s Health Care Hours timebank Fureai Kippu! Bankers get no vigorish. Argentine Solution worked for Russia too. LETS and cash-based community currencies are dinky toys though a UNILETS timebank will subsume all national and local networks some day. I’m the UK, Middle East and Africa leader of the Digital Cities and Property business for Arup, the independent design and engineering company. Previously, I was Director of Technology for Amey, one of the UK’s largest engineering and infrastructure services companies, part of the international Ferrovial Group, and before that IBM UK’s Executive Architect for Smarter Cities. I’m the founder and the current chair of the Birmingham Smart City Alliance, a non-Executive Director of Innovation Birmingham and a member of the Board of the West Midlands Innovation Alliance. You can find out more about my work on the “Personal Profile” page. For an overview of the content on this blog, please refer to the article “Seven Steps to a Smarter City”. A good introduction to my views on Smart Cities is my TEDxBrum 2014 talk, “From concrete to telepathy: how to build Smart Cities as if people mattered“, a discussion of which can be found here. You can connect to me on Twitter as @dr_rick; or contact me through Linked-In where I’ll respond to connection requests from people I know, or that are accompanied by a message that starts a meaningful discussion. The opinions on this site are my own. Content on this blog can be shared under the terms of the Creative Commons Attribution-ShareAlike License: you are free to share and re-use it providing you attribute this blog as the source of the material, and license any resulting work on similar terms. Please refer to the full license terms, or contact me with any requests to re-use material on a different basis. Do we need a Pattern Language for Smarter Cities? Will the city of the future be a hyperlocal manufacturing cluster?